I never outgrew dolls. I still have about a dozen of them. 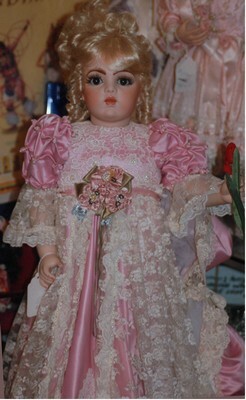 One of my friends noticed some of them in my home and invited me to go with him to see a fabulous collection of dolls. He described the doll collection with superlatives, but he did not prepare me for the wonders I saw. This is a multimillion dollar collection of tens of thousands of dolls, the nucleus of a doll museum, hidden away in an unobtrusive looking row house in Washington DC. 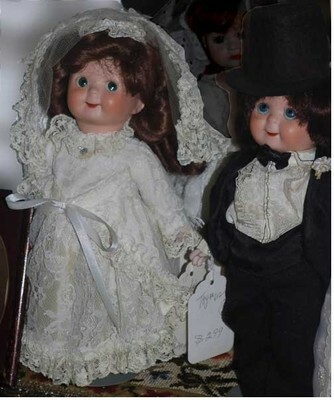 The owners, Sunny and Louis Reyes, have been collecting antique dolls for 28 years, and they are delighted when someone comes to see their collection. They encourage all their visitors to tell their friends about their collection, and that’s what I’m doing. I saw and photographed just a tiny fraction of the dolls, and the experience was overwhelming. When you enter the house, you are greeted by several life size dolls near the door, including one striking Native American doll. (Sunny refers to some of them as Louis’s girlfriends.) 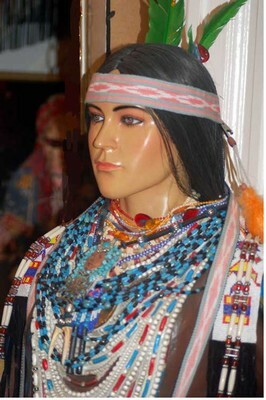 Louis is a Native American, and he is partial to Native American dolls. He makes traditional costumes for them, including beads, headdresses, and fringed leather garments, by hand. 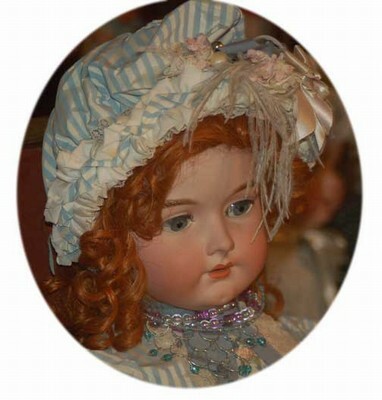 Many of their dolls were made in the Victorian era, although some of them date back to the 1500s. 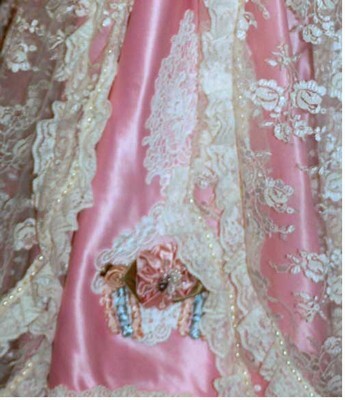 Most of the dolls are dressed in elaborate costumes. The faces and eyes of the dolls are beautiful, too. They have real personality. 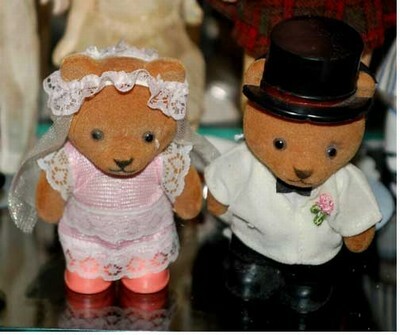 The Reyes have a wonderful collection of wedding dolls, including both human and nonhumans. A large glass case holds wedding attendant dolls. When Sunny learned that I play the violin, she unlocked the case and got out a doll playing a violin for a wedding. 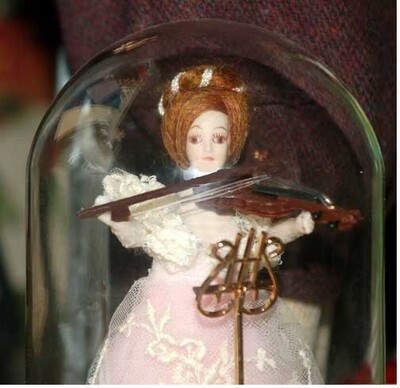 This doll is in a glass bell jar about 6 inches tall. Her violin looks OK, but her bow needs rehairing.